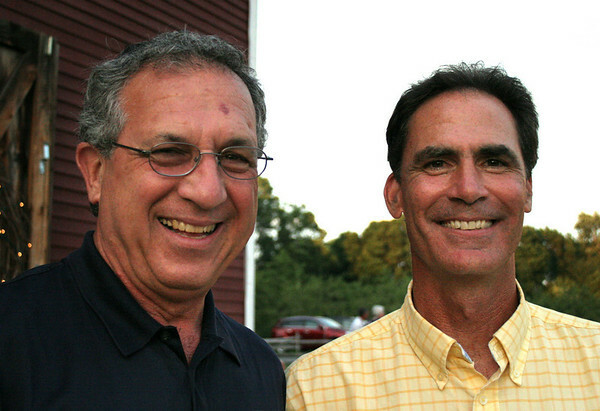 Steve Kantaros, left, and Chuck Holden stand outside Smith Barn during the Peabody Area Chamber of Commerce's "Antiques Roadshow" event on Wednesday. Photo by Mary Catherine Adams/Salem News. , Steve Kantaros, left, and Chuck Holden stand outside Smith Barn during the Peabody Area Chamber of Commerce's "Antiques Roadshow" event on Wednesday. Photo by Mary Catherine Adams/Salem News.